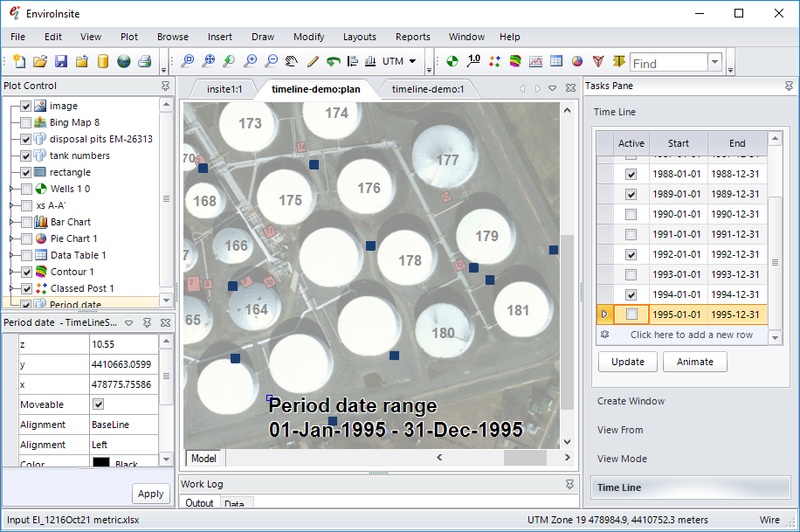 Time line text writes the current time line date range start- and end- time to the screen using a user-selected text style and date format. Select Draw> Time Line Text from the main menu. When the mouse pointer changes to a cross, click the left mouse button to define the insertion point for the text. The Text dialog box will open. 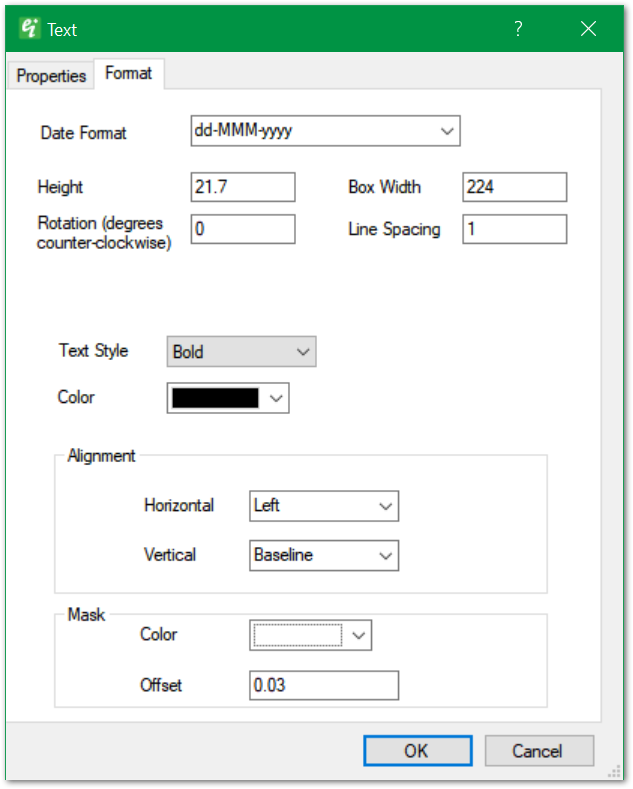 Edit the text properties and format as desired and click the OK button to save changes. 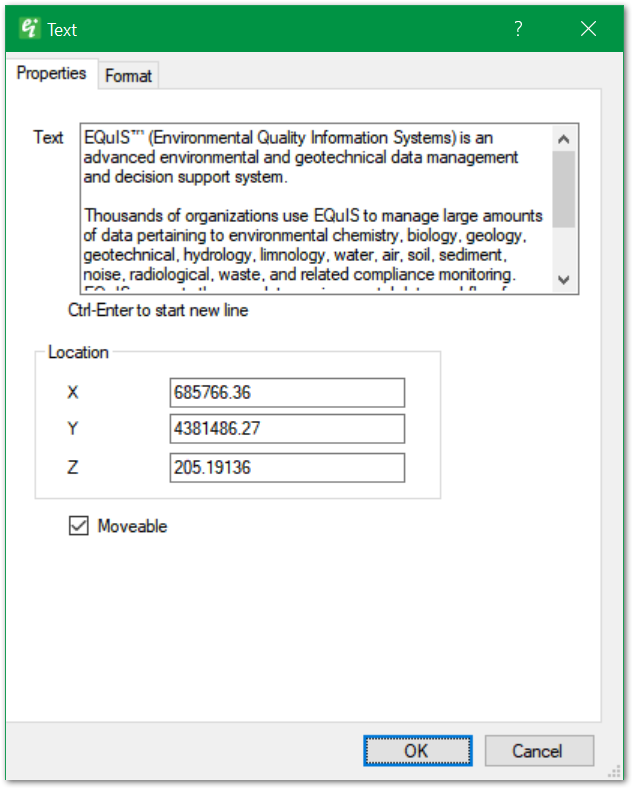 View a training video on time lines in EnviroInsite here.